Mom Among Chaos received free coffee to facilitate this review. All opinions are my own. This blog contains ads or affiliate links. 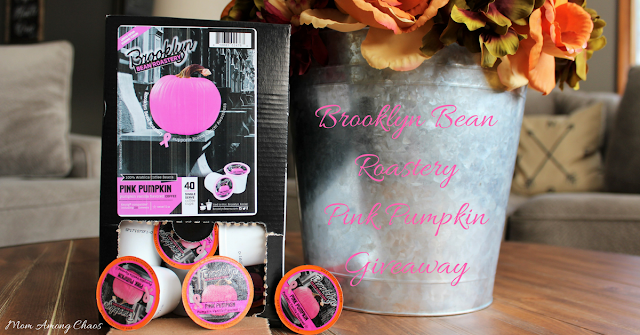 Brooklyn Bean Roastery Pink Pumpkin Giveaway. Today is the first day of fall. Here in Michigan, it's almost 90 degrees which is rare for this time of the year. This morning I celebrated the first day of fall and my sixteenth anniversary with Brooklyn Bean Roastery Pink Pumpkin coffee! I'm going to let you in on a secret that you might find horrifying. I'm the girl that doesn't like pumpkin spice anything. Yes, you heard me correctly. I will gladly skip over ANYTHING pumpkin spice. 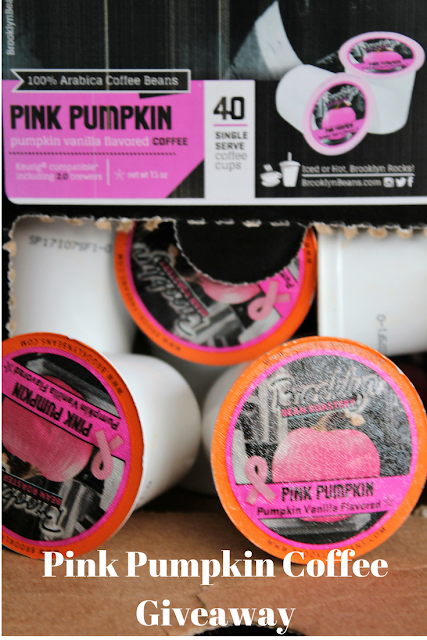 But, I won't pass up pink pumpkin coffee! What's the difference between pumpkin spice and pink pumpkin? Well, Brooklyn Bean Roastery Pink Pumpkin is a sweet and mild coffee. The pumpkin flavor is not overpowering, and you will enjoy hints of vanilla in the coffee. Actually, Pink Pumpkin is fantastic anytime of the year! Brooklyn Bean uses only the finest ingredients for their coffee. The coffee is made from 100% Arabica Coffee Beans which puts Brooklyn Bean in a league of their own in the coffee world! I teach English as a second language to kids in China. There is a 12 hour time difference so most mornings I start work at 6:30 AM. Typically, about 6 AM I'm lovingly holding my cup of Brooklyn Bean coffee, and this morning the flavor was Pink Pumpkin. Brooklyn Bean is my sanity in the morning. On top of working, my daughters are getting ready to rush out the door for High School and Middle School. This morning my little one was sick with a cold, so she was home. Being a mom is chaos but I know I have Brooklyn Bean coffee by my side each and every morning!